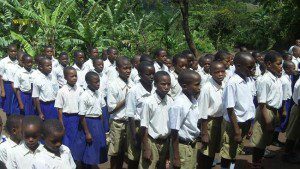 We are beginning a new international link with a school in Mozambique. This link is funded by the British Council and will initially involve two members of staff travelling to our partner school in February 2018. Following this visit the school with develop projects with the children in both schools. As our proj ect with Tanzania involved health and fitness we organised World Cup Football matches in each country. 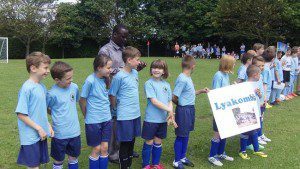 The games in June were played between the schools that have a link with Tanzania and the games in October were played by the partner schools in Tanzania and were organised by staff from the UK. Banners were made in each country and the children had a fantastic time. Miss Dooley went to visit our partner school in Tanzania in October half term. She took part in observing and teaching lessons in the school and working with staff in Tanzania to identify curriculum links. The focus for the work on this visit was health and fitness. Mr Goodluck Malisa visited our school in June 2014 from the Kilimanjaro area of Tanzania. He is the headteacher of our partner school. During his visit he observed lessons and took part in teaching activities. He had an opportunity to look around the area and find out about our school and local community. Mr Nodding visited our partner primary school in Tanzania during October. 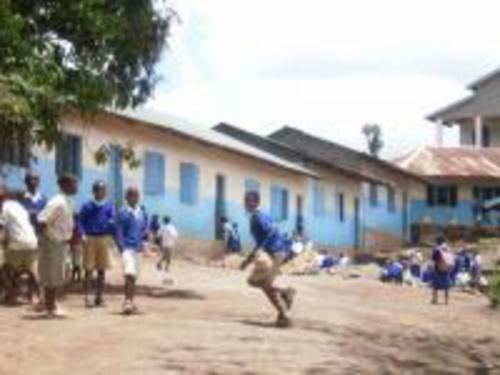 The school, which is called Lyakombila Primary School, has 260 pupils and is located on Mount Kilamanjaro. The school is very different to ours, it has no electricity or water and has a very small wooden kitchen. The children are taught many of the subjects that we teach in Copeland Road and they learn English. 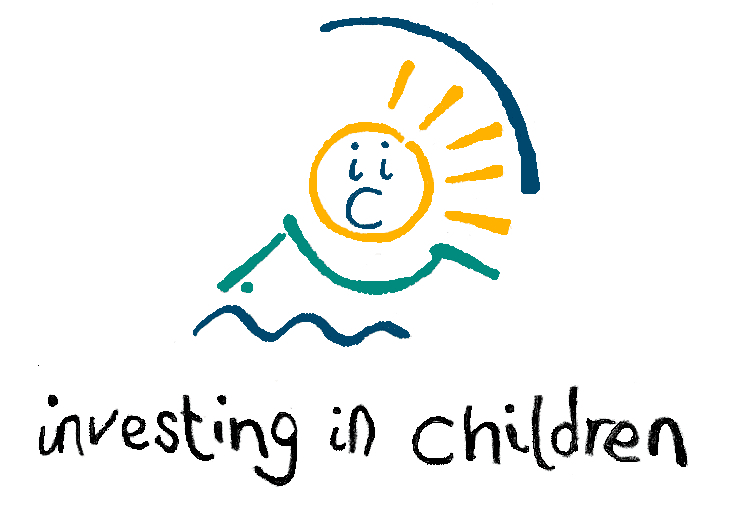 Over the months and years we hope to develop our link and learn more about our partner school, its local environment and children. Our partner school in Tanzania is near to a town called Moshi and is in the foothills of Mount Kilamanjaro. The school is called Lyakombila Primary School. They have about 260 pupils and 7 staff. 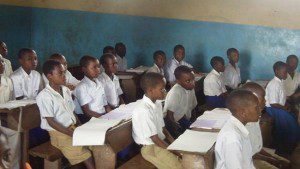 Children in the school are taught lessons in Swahili but they also learn English. The subjects they learn are very similar to our curriculum.The area around the school grows coffee and bananas. In May 2008 we began our journey to form an international link with a partner school in France. Mrs Torano and Mr Nodding went to County Hall to meet a group of teachers and headteachers from the Picardy region of France. Following introductions and presentations, the schools from Durham and France mingled and chatted we each other to learn more about each other and the local areas. Towards the end of the afternoon all of the schools were asked to form links with a partner school and so began our link with École Elémentaire in France. We left that afternoon with Madame Planson from France and we began our French partnership. Following the initial meeting with Madame Planson at County Hall we had a few days to get to know a little about each others schools. 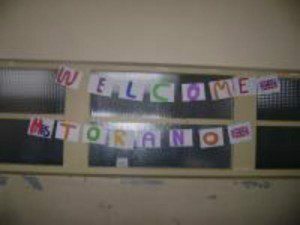 Madame Planson stayed with Mrs Torano and had the opportunity to come into school and meet the children and staff. She went to each class and also talked to the whole school assembly. Madame Planson also visited a number of local tourist attractions and toured the local area to become familiar with the school and its location. Following Madame Planson’s visit to Copeland Road in May, Mrs Torano went to visit our French partner school in November. She went across to France with a number of other teachers who had developed links at the same time as ourselves. During Mrs Torano’s visit to France she visited the school and met with their children and staff. She also met the local Mayor and visited the local area. She also had the opportunity to tour Paris at night as part of the visit. Following Mrs Torano’s visit to France we have been exchanging information and packages with our partner school. One of the themes we are both looking at is ‘food’. We have sent them a number of recipes for Christmas food and they have sent us packages related to cakes they eat at Epiphany. We also sent them a box of Christmas crackers.Each of the schools has had great fun receiving their new gifts and we have learned so much already about our new friends. We are currently writing letters and emails to France in response to letters they have sent to us. This link has helped our children develop their French and their knowledge about a different country in a very positive and effective way. Watch this space for further news.